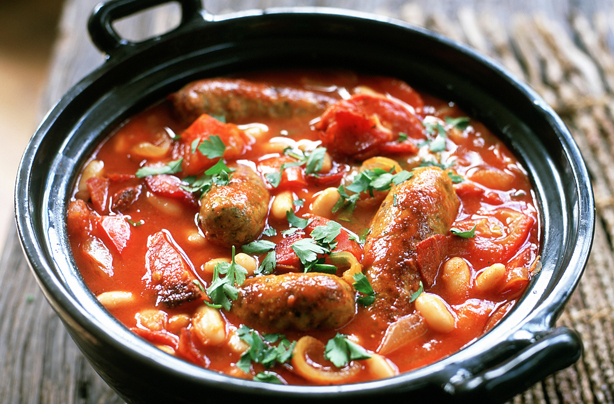 Hi everyone..... Today I'm going to make a sausage casserole dish. You can use any sausage of your choice (Russian, Beef, Lamb, pork, Chicken Ostrich etc.) seperately, or all together in this casserole. The bonus is that the ingredients are very light on your pocket. For today however, I'm going to use pork sausage for our casserole. So pop down to the local butcher or supermarket and buy a pack of 6 of unfrozen pork sausages (not beers hey!). I prefer to use the unfrozen ones as you don't have to wait for them to first defrost, and they are fresh. If however you are rich enough to have a deep freeze and have some frozen ones, then you need to start thawing them now! Salt and Pepper to your taste. You will need the following to start your scrumptious casserole. 6 Pork sausages. ( You can use any sausages and even combine different types if you want to). 2 x Tablespoons olive oil. 1 Med size potato peeled and sliced into 3mm rings. (Banting dieters use sweet potato). 1 level teaspoon crushed garlic. (2 cloves crushed). 1 x 450ml tin chopped tomato or 3 med fresh finely chopped tomato's. 1 x 400ml mixed beans drained. Green pepper sliced 3mm strips (if budget allows can also use yellow and red pepper with the green pepper). 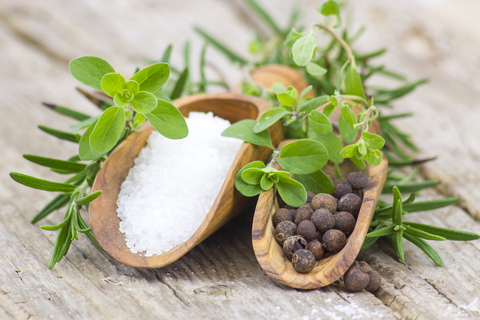 2 Sprigs fresh thyme or ½ teaspoon dried thyme. 300ml vegetable of chicken stock. (1/4 tsp cayenne pepper optional ingredient). (½ tsp Masala(curry powder) optional ingredient). Coarse Salt and freshly ground pepper to taste. 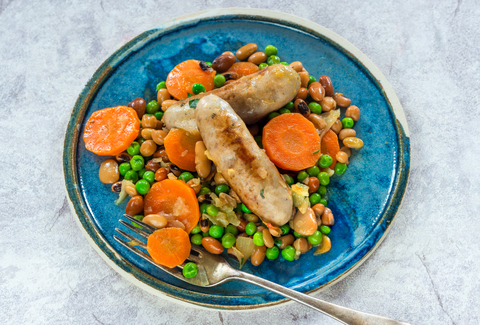 Okey Dokey..... now that we have all the ingredient in front of us lets' Start "A" Cooking (just love saying that, fires me up) our sausage casserole. Place a large frying pan on your hob. Add oil and fry the sausage and bacon turning them until they a nice light golden color. (Do not worry if they are not cooked through as they will cook on when the casserole is put into the oven. Tip : prick your sausages to let the juices out not only it will it stop them from splitting. It adds more flavor to your other ingredients). 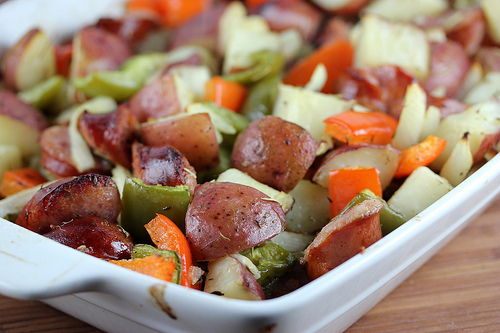 Remove sausage and place them in a large oven proof casserole dish and set aside for later. Preheat your oven to 180°c. Add onions to pan and fry until soft. Add garlic (which by the way is one of the best natural antibiotics you can get), spices and thyme, cook for 3 minutes stirring as you go. Now add your sliced potato (which contains a lot of potassium), carrots, peppers and sliced mushrooms and stir, coating all the ingredients with oil and cook for 1 minute continue stirring..
Add your chopped tomato, bay leaf and Worchester sauce. Optional ingredient ¼ tsp cayenne pepper. Reduce the heat and allow to simmer for 10 minutes. Now, taking care not to spill or burn yourself transfer, all the ingredients from the frying pan to your oven proof casserole dish, pour your veggie stock over and mix with the sausages. Stock: Liquid in which meat or fish or poultry with vegetables, bones and seasoning have been cooked. Used as a base for soups and sauces. Put on your oven gloves and place casserole dish in the oven. Set time for 40 minutes (get the family to clean up), sit back, put your feet up and relax the big part of cooking this casserole is done. OK, time's up,check to make sure the potatoes are cooked. 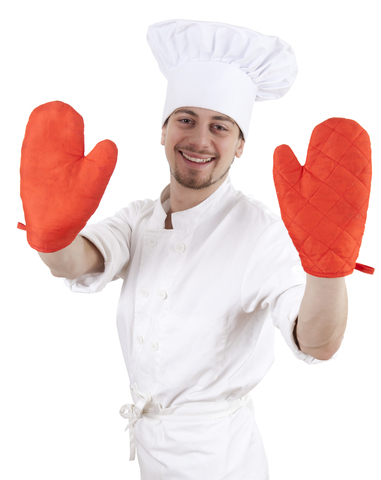 Not forgetting to wear your gloves, remove the casserole from the oven and place out of the way especially if there are young children around. At this stage you can leave the sausages whole or remove from dish, slice them in ±6mm rings and return to the dish. I found that this way the juices mix so much more and enhance the taste and set you taste buds alight. Mash potato and peas (this is my favourite). Cauliflower rice (for those on the Banting diet). For those that are on the Banting diet use mash Sweet potato. We really hope that you will get great enjoyment out of cooking this recipe as well as eating it, and sharing the experience wherever you go in the world. Copyright 2014 Home Cooking Haven.Com. All Rights Reserved. Experiment: Always keep to the basics, but, take out and put in spices etc to your tastes. Sear: To brown surface of meat quickly over a high heat, to seal in juices. 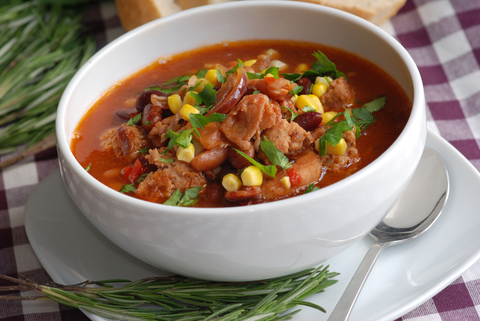 Ragout: The basic method of preparation involves slow cooking over a low heat. Picked Over: If you are working with lentils or other beans you might sometimes find a few little rocks that managed to sneak their way in, picked over means to make sure there are none left in what you are going to be using.